Breyer Law Offices, P.C. would like to congratulate all of our scholarship winners. 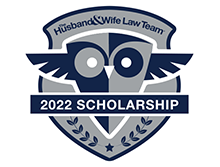 We launched our Husband and Wife Law Team Scholarship in 2016 to assist deserving college-bound students in paying for secondary educational expenses. We hope that by offering this money, we are helping not only one student, but an entire community that will reap the benefits of that student's drive for success. Breyer Law Offices, P.C. would like to thank all who applied. Please check our blog and Facebook page for announcements and other scholarship opportunities. "I have proven to myself that I can succeed at anything I put my mind to in spite of a learning disability." Ihave never read my favorite book, although I know it by heart, I have listened to it hundreds of times. I have dyslexia. During my junior year when I was struggling with college choices and what I wanted to do with my life, a teacher gave me an article about first-year engineering students with dyslexia. 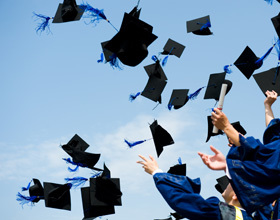 The report stated that students with dyslexia in higher education attribute their success to motivation, planning, and organization. "I have never read my favorite book, although I know it by heart, I have listened to it hundreds of times." Excelling in class is something I am very proud of, but sometimes it is a struggle. I work hard because the easy things for most people are more difficult to me, yet the hard things for some, are easy for me. I have the strange ability to "visualize" mathematical questions and solve problems with leaps of intuition rather than the "proper" established techniques of strict logical analysis. Even though I know I learn differently, I also know my strengths and believe in my own in own abilities to succeed in spite of the system. To me, motivation and confidence in my abilities to succeed will take me farther than any test score on a piece of paper. Dyslexia is a contradiction; I am a slow reader but a fast thinker. The reason this matters in an academic setting is that specific learning difficulty can prevent me from performing well in an assessment designed to assess higher level thinking. My higher level thinking is hard to measure. Dyslexia does not “disable” me; it “enables” me. By working harder, it strengthens my conviction. More importantly, it gives me the confidence to aim higher and try harder than my peers. I know I can do in college what I have done in high school. Being a part of an honors program for gifted students is a testament to my conviction and dedication to surpass my limits as a student. I have proven to myself that I can succeed at anything I put my mind to in spite of a learning disability. It is my experience as a student with a learning disability that drives me to build a solid academic foundation and to make possible my goal of becoming a distinguished engineer. "I have always thought of myself as a problem solver, and engineers solve significant problems." If you were to ask my parents, they would say I have always found more joy in taking my toys apart than playing with them. I have always seen myself as an engineer. I have been fortunate to have had several experiences during high school that have fostered my love of discovery. Under the guidance of Dr. Aditi Chattopadhyay, Director of ASU’s Adaptive Intelligent Materials & Systems (AIMS) Center, and working alongside doctoral student Chris Sorini, I assisted with his project on multiscale modeling of composites and ballistic impact modeling of triaxially braided composites. To earn high school credit, I spent at least five hours every week in the lab and completed journal entries and daily reports. Upon completion of my internships, I was required to write a research paper. During this past summer, I had a paid internship with the High School Apprenticeship Program (HSAP) sponsored by the Army Research Office. Through this program, I developed skills in critical science and engineering research at ASU. During this program, I was able to work with doctoral student Siddhant Dattato and his research in nanocomposite fabrication and multiscale modeling. This experience prepared me for the next steps of my educational and professional career. This year I am interning at ASU with Steve Tremble in the Fulton School of Engineering. I am using my knowledge of SOLIDWORKS to create models for projects with his graduate students. So why do I want to study engineering? I think engineering students think big and want to solve problems. I have always thought of myself as a problem solver, and engineers solve significant problems. Being an engineer means being part of a team and working with other people that like to solve problems too. That is the kind of career I want to be a part of. 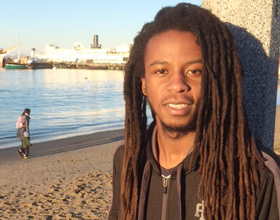 "Receiving this scholarship will help me as a STEM major. It will provide me with the opportunity to learn all the fundamentals of creating complete sharing programs." Ilook towards being a member of college soccer, soccer club and track intramurals. I have participated in both track and soccer every year since entering high school and I have learned a lot about cooperation with peers, so I will be accustomed to working in groups and keeping focus towards my projects in college. I hope that my high school career helps me transition into a computer science major who will successfully become a software engineer. My family consists of my mom dad, brother and two sisters. We are a tight knit supportive family since we often like doing things together just for everyone’s enjoyment. My mother is the primary source of income for us, and as a result I am concerned about paying for my education. It gets difficult at times but she does her best. When my family goes out, it is often for local events or even showing up to me and my brother’s sports events and sister’s theatre performances. I have applied for the FAFSA and several scholarships in hopes that by putting in my part I will alleviate the financial burden that college will place on my family and on me once I graduate. When I look back to my high school classes I think of a software that facilitated communication between groups of people allowing for instant sharing thereby creating efficiency of our time. In my computer science class, being held in a large room, our ability to communicate as a large group was hindered. In part, this was due to the fact that people dispersed around the large room quickly after the task was given. Communication was hindered by the size of the room. I decided to use a new LAN messenger to discuss the task with my classmates. With this form of communication our class became more productive, since we used the messenger as a way to communicate with each other effectively. I [am seeking] a post secondary education in order to enrich my understanding of various programs while also finding a way to improve communication between others and create an effective environment. "I believe that with further education I will be able to speed up communication between individuals." I was inspired to use the organized instruction used in my computer science robot unit to improve my own LAN messenger. The result was small scale sharing between my classmates. The new LAN sharing allowed an easier shift of ideas between the students in my class community. With a computer science degree I can create a software like a LAN messenger, so my community would have the ability to collaborate and share resources instantly on issues and topics that affect us. Another way to effectively communicate is the use of Magpie, an interactive software that responds to the input of its user so that the communication does not have to be direct. Software like Magpie and the LAN messenger helped split work among my classmates, so I believe that with further education I will be able to speed up communication between individuals. Great teamwork comes from the efficient use of our time and communication between work groups. Using technology such as this to communicate ideas and share essential information could be instrumental to my community. For example, I can create software for guidance counselors to share information about scholarships to help students just like me, and I can help businesses serve their customers faster and more effectively in my community. "Great teamwork comes from the efficient use of our time and communication between work groups." Receiving this scholarship will help me as a STEM major. It will provide me with the opportunity to learn all the fundamentals of creating complete sharing programs. College will give me the opportunity to work with peers to create new software that will give me the experience I need to help my community with software that connects all the people in the community. Magpie can be developed further to apply to a variety of real life circumstances. With some enhancement, Magpie can become an effective educational and career tool. For example, I look forward to learning how to develop a program that would match student interest. Using Magpie at its full capability, I can foresee coming up with a program where students enter academic or career oriented information. The software would then give them feedback such as schools that offer programs that meet goals, future recommended course loads, and career paths. My software will open opportunities to people who don't necessarily realize the varied options available to them. Copyright ©2019 Breyer Law Offices, P.C. - All Rights Reserved.